Third-party logistics (3PL) services providers in Oman are at the forefront of providing cost-effective and quality services for customers for all of their logistics services requirements. One of the key components of this service delivery is the expansive warehousing and distribution facilities of these 3PL companies that are spread across Oman. These facilities are manned by skilled personnel, operate in highly automated and secure environments and provide a wide range of services. All types of storage facilities – open yard, dry, temperature controlled, chemical, etc. All types of packing services including industrial packing, promotional packing and rework, pick and pack services, repackaging, labelling, lashing and securing services, etc. Open yard storage facilities owned and operated by 3PL companies are usually located close to air and seaports and within industrial parks or trade free zones. The facilities can handle consignments of all sizes and from all types of industries. The facilities are highly automated and the customer can continuously track the movement and storage status of the consignment through the web-based interfaces of the logistics management software of the 3PL service provider. The facilities are fully secured by 24×7 monitoring by security personnel of the surveillance systems installed to cover the entire area of a facility. The open yard storage facilities have the required types of material handling and moving equipment to manage any type of large cargo. These equipment are operated by qualified personnel to ensure that no damage is caused to the cargo while it is being stored in the open yards. The open yard storage services are availed by a variety of businesses including vehicle dealerships, oil and gas companies, construction contractors, etc. Businesses everywhere and across sectors are looking for cost-effective solutions for safe storage and transport of materials. 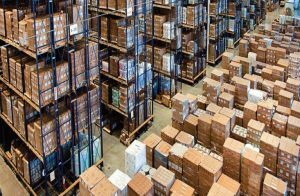 3PL service providers have in-house facilities for providing industrial packing solutions for a wide variety of products that come in all sizes and shapes. A range of modular packing solutions is now available that are reusable and thus, highly cost-effective. Various types of stackable containers, stack-nest containers, foldable containers, specialized containers for electronic products, storage bins, etc. Customized solutions for cargo that are fragile, odd-shaped and sized, temperature-sensitive, etc. 3PL companies in Oman provide these packing services at their facilities to ensure safe storage, easy retrieval, safe transport and prompt delivery of goods that are entrusted to them by customers who look for efficient and cost-effective solutions for their bulk packing and transportation requirements. A shipping container cannot be stuffed randomly to fill it any which way. A structured container stuffing plan is required after a thorough analysis of the quantity, volume and type of the goods to be loaded into the container. The container should be loaded such that it is well balanced for transit. Incompatible goods are to be properly segregated. The stuffing plan should also consider the complexities and hindrances that could occur while unloading the container at the destination. Similarly, unloading or de-stuffing of a container at its container should also follow a well-laid out plan. Proper equipment should be available at the receiving end to unload the various types of goods in the container and move it to the storage racks or spaces. The goods should be inspected to ensure that those are in proper condition and have to be unloaded and moved by personnel who are skilled and experienced to handle these operations. The goods may have to re-labelled to suit the requirements of customer receiving the goods. 3PL companies have the required equipment and personnel to effectively manage the container stuffing and de-stuffing operations so that goods are moved in an efficient and cost-effective manner, received in good condition and moved promptly to the location where it is to be used or stored. 3PL companies consider packaging and repackaging as integral components of their services offering. Many times, the type of packing of products at the manufacturing facilities may not be apt for storing at 3PL warehouse and distribution facilities. Also, these factory packing may not come in sizes that enable efficient stuffing in containers. This leads to an increase in shipping and overall costs of the product. The packaging solutions offered by 3PL companies will ensure that your goods are stored safely and shipped efficiently so that your customers receive it in good condition and at good prices. Repackaging solutions are needed when a product manufactured by one party has to be modified or its packaging changed to suit the requirements of the new owner. 3PL companies can provide standard and customised repackaging solutions that fully meet the new or modified requirements. By opting for a competent third-party logistics provider in Oman to handle all your shipment logistics, you can concentrate on your business’s core competencies without worries. Alsi Marine LLC is one of the leading third-party logistics provider based in Oman offering efficient supply chain solutions which include freight forwarding, intermodal transportation, document preparation and customs clearance, warehousing and distribution to name a few. We help you meet your supply chain objectives with effortless ease. Alsi Oman is the best Logistics Companies in Oman when we ake the list of List of logistics companies in Oman. Get in touch with today to know more about how we can help you build a stronger supply chain with our logistics solutions. Third-party logistics companies provide many services having to do with the logistics of the supply chain. This includes transportation, warehousing, picking and packing, inventory forecasting, order fulfillment, packaging, and freight forwarding. This article is all about Warehousing and distribution services in Oman. I read this article thoroughly and a learned a lot from it. Thank you for posting this blog.